Pickup from Bangalore Address. leave for Mysore Approx. 110 Kms/ 3 Hrs. On arrival check Inn at Hotel Later in the afternoon visit the local sights in Mysore visiting the Mysore Palace, Evening visit the Brindavan garden to witness the musical fountain show. Overnight at the hotel. Morning Go For Bandipur Reserve. Afternoon depart for Ooty. 135 Kms – 3 Hrs. On the way visit Mudumalai Sanctuary. On arrival check in at the hotel. Overnight at the hotel. 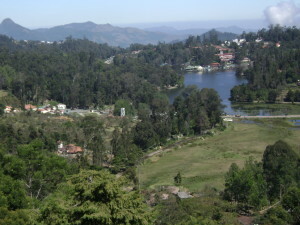 Today Proceed for half Day sightseeing of Kodaikanal visiting Mannavanur Lake, Pine Forest, Berijam Lake. Overnight at hotel. After Breakfast leave for Bangalore approx. 465 Kms/ 9 Hrs. Evening drop at Railway station or airport.